There was a time. I was young, bright-eyed and full of ambition, but I was at a crossroad in life. I asked one of the most successful people I knew for advice. He told me that if I want to be successful, I need to do this one thing. I thought he was crazy. I listened to him anyways. 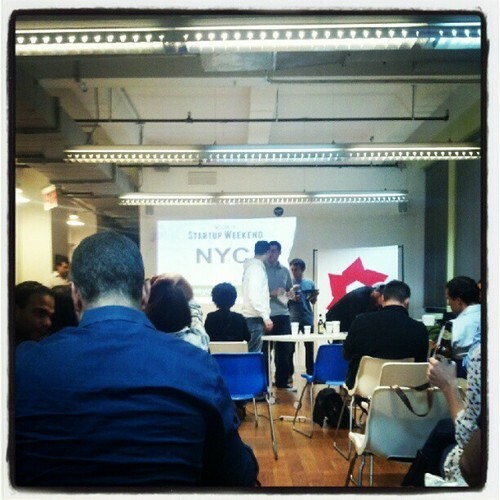 "NYC Dev Shop Mentors at Startup Weekend"
This past weekend NYC Startup Weekend invaded our coworking space at Alley NYC. After hearing about all the great momentum Frank Denbow and his team had created leading up to this event, we jumped at the chance to help in any way we could. So my partner Alec and I signed up to become mentors for the weekend and agreed to donate $1,000 worth of development hours towards an MVP for the winning team. I’m a big fan of the concept behind the event, so it was great to experience the entire process first hand — listening to initial pitches, watching the teams form around the top ideas, interacting with the teams as they narrow down their focus, and then witnessing the hard work turn into results. It always amazes me how much can get done in one weekend when you are laser focused.